Striped top, H&M; Denim shorts, Uniqlo; TOPSHOP Fairy sandals; Longchamp Le Pliage. Weekend wanderings when a beach is involved are my favourite. I’m certainly a water baby through and through, despite my obvious inability to swim! 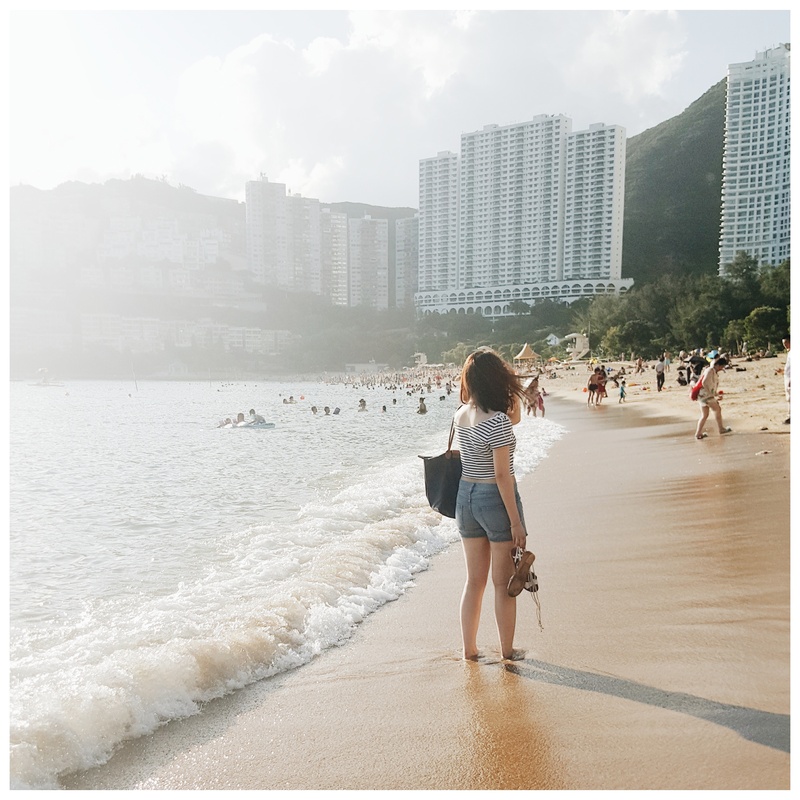 Lately I’ve been completely gripped with astrology and star signs, so do excuse me as I go through in an even deeper Hippie Mish phase 😉 On Sunday I decided to head down to Repulse Bay Beach again; easy to get to, plenty of restaurants, bars and clean showers around, and ridiculously soft sand. I opted for something simple as ever. Honestly, this heat is almost unbearable! Stripes and denim were my go-to tools to battle the humidity – seriously, kudos if you’re a fellow HK-er and you manage to look chic at the beach. Please also excuse the fact that the wet sand covers over my ankles – how oddly short do I look here? PS. Less than 6 months until Christmas!! England, I’m comin’ for ya!